Washington:): A study has found that babies born before 37 weeks may respond worse to flu and other lung diseases later in life due to absence of certain lung cells. The findings suggested when newborn mices are exposed to extra oxygen at birth, which causes their lungs to respond and develop similarly to those of preterm infants, they end up with far fewer of these cells once they reach adulthood. The University of Rochester Medical Center in the US researchers explained that mice born into an oxygen-rich environment respond worse to the flu once fully grown due to an absence of certain lung cells, a discovery that provides a potential explanation for preterm infants’ added susceptibility to influenza and other lung diseases later in their lives. 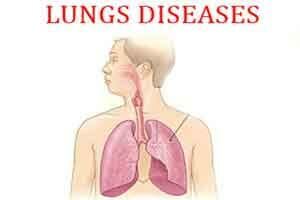 The research focuses on alveolar type II cells, which help to rebuild lung tissue after damage. Once exposed to influenza virus as adults, these mice then developed a much more severe disease than mice born in a traditional oxygen environment. “We don’t know if this is exactly what happens in preterm infants,” said Michael O’Reilly. “But we do know that there’s a direct correlation between the loss of these cells and an inferior response to lung disease and we do know that there’s something about that early oxygen-rich environment that causes a mouse to respond poorly to viral infection later in life. So this helps connect those dots,” O’Reilly added. The cells are abundant in the lungs of healthy infants, as they are responsible for producing pulmonary surfactant – a vital compound for the developing lung. As the lungs mature after birth, some of these cells may be pruned away. In theory, the lungs of premature infants take this process too far, pruning too many type II cells.